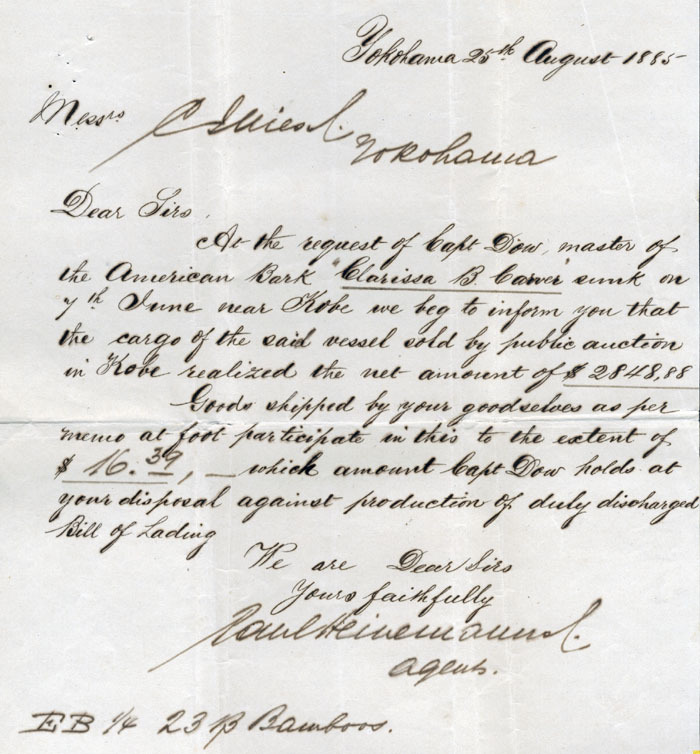 Letter announcing sale of cargo of the ship Clarissa B. Carver and that consignee is entitled to share of money made at the auction of the cargo. Clarissa B. Carver was sunk by a steamer near Kobe, Japan on June 7, 1885.